home / news / How can you save more on your commercial lease? With rent increasing, it is important to know where your commercial lease stands in relation to the market. Some commercial tenants may not know the importance or structure of lease incentives. This can be an effective negotiating tool to leverage, to reduce your lease costs. A tenant representative can negotiate lease incentives with the landlord on behalf of a tenant. Lease incentives differ according to office vacancy rates, and is dependent on the landlord’s position in the market and the specific building. Fitout is the interior construction of an office space that include facets of your fitout. 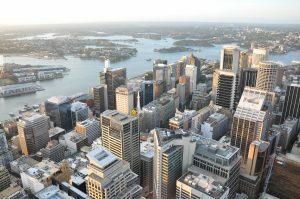 The landlord may offer an amount as contribution to the tenant’s fitout works. This can save you money, while achieving the fitout design that best suits your business needs. Rent free refers to the suspension of rent. This lease incentive offers tenants a rent free period, usually at the commencement of the lease. A rent free agreement can be expressed, for example, as 6 months’ rent free at the commencement of the lease. This can be favourable when the market. The landlord may offer a reduction of monthly rental payments across the lease term. This can be expressed as a percentage reduction of rental costs or as a dollar amount spread over the whole term of the lease. This can be used when transferring between offices, to create a lead time. Take control of your commercial lease and let TRS negotiate on your behalf. At TRS, we are purely independent from landlords and agents which is why we can help you save more by giving you the best deal.